Review Context: I do enjoy my fair share of shoot ’em ups from time to time, though I am not the biggest fan of fighting games. I have never been privy to one that utilizes both elements together though. Difficulty is often a thing most gamers look for depending on what experience they want. Some games are meant to be enjoyed leisurely and others are meant to be a test of both skill and patience. Sitting on both extremes are games like Animal Crossing and Dark Souls. Animal Crossing being a leisurely simulation game of living in a town and making your own way in this world helping both your neighbor and paying off your loan. Dark Souls on the other hand is a third-person action-adventure game that revels in its responsive fighting mechanics, yet its level design is merciless in its difficulty causing multitudes of deaths during a playthrough. Both games have their focuses and both games have their niches. 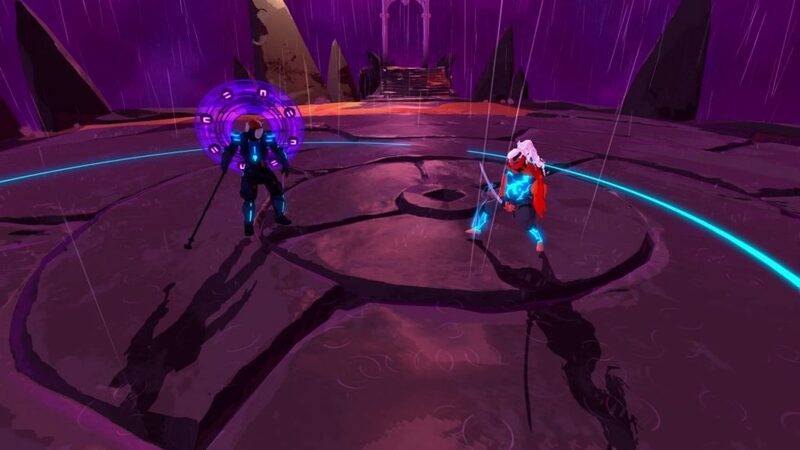 Furi is a game that tries to be cruel in how tight your response times need to be during close combat, as well as its intensive bullet hell sections creating a weird amalgamation of a game; a fusion of both fighting game and shoot ‘em up mechanics. Does Furi confuse the term “challenging” with “unfair,” as many other games of its ilk have been criticized for in the past? You play as The Stranger, a man of no voice stuck in a prison universe with multiple jailers. You escape thanks to the help of a rabbit head wearing weirdo named The Voice, who was once supposed to guard over you as well. Not much is explained about the story or world over the course of the game and much of it must be extrapolated from both the scenery and the character interactions. This creates a narrative none too demanding for those who want to focus in on the action, but a setting interesting enough to warrant looking into for those whose curiosity has been peaked. The world and story with its characters are often only told to you by The Voice as you wander in between each stage during walks. Having someone be a potential unreliable narrator with an indistinguishable name is an interesting choice, especially with how vague the story is. Reflex and repetition are the best two words to describe Furi’s gameplay. It focuses on one-on-one battles between you and the guardians as you struggle to reach closer to the planet. You are stuck in an arena that obviously is an advantage to the guardian and forced to either shoot or slash at them. Each boss is unique, and each one has a different set of stages to them. Some could be purely melee combat focused like The Edge, and some could be more focused on shooting like The Song. These guardians keep you continuously on your toes as there is never an essence of downtime during the battles. They will continue to fight you potentially twice per health bar, once in a larger arena and the other with a smaller more intimate fight with different moveset focused on melee. Each health bar feels like a new fight with each boss as they begin to adapt to find new ways to fend off your attacks and you do the same. Essentially, this is a fighting game with shoot ‘em up elements. Often this creates for unique battle scenarios, much like the invisible sniper battle with The Burst or the ferocious pursuit of The Scale. Learning each of their battle techniques throughout most of their life bars will at times give you multiple game overs, as the tight dodge mechanics will often look for pin point accuracy in its bullet hell sections of each battle. When you reach that final bar of health, the boss will enter into their most crucial phase where you will truly enter into a bullet hell game. Dodging numerous energy based attacks from multiple angles, it can cause quite the strain on the eyes and surely will test some people’s patience. Hence why I stated these battles can become repetitious, as some will easily end you faster than you can react most times, as you have to memorize their attack patterns with multiple attempts. This will become more apparent when you reach The Burst and The Edge nearing the end of the game, as both will be some of the most challenging points for your dodging and melee capabilities. It feels like the repetition found in the classic Mega Man games, where there is a focus on learning from each death about the patterns of the enemies, though if you are fast enough, one can regain health through parrying attacks and attacking specific balls of energy from bosses. They do not make it so that your only option is to die and memorize their patterns, but to allow you options if you are quick and skilled enough to survive longer in battle. Even beating a boss regains your entire bar of health so you can enter fresh into the next stage, but it does go both ways with the boss being able to do the same. This allows the player to not panic when in low health, as there are ways for you to regain it. This balances out the hard reflex intensive mechanics for most sections to be fair but still challenging. This game is naturally difficult, if even to the point of it not being the most fair in the grand scheme of things. Some attacks are feints, others are not, and when you come up to a new phase of the enemy more often than not you will be overpowered and have to restart over again. Each boss though can be memorized and overcome, as each have specific patterns to their fighting. That being said, the small openings you are given require pinpoint accuracy and the dodge mechanic at times is hard to gauge how far you are able to go, as you can even fall off the edge on most stages. This game is potentially more frustrating than most, and fans of classical game learning format (die and learn) will be able to adapt better than most people. I found myself stuck on a few bosses for an exceptionally long time during my playthrough, particularly those who have strong attack strength like The Edge or insane bullet hell sections like The Burst. I never felt ultimately cheated with my various deaths, and watching myself improve over the course of my playtime I found rewarding, but that doesn’t mean I didn’t have my fair share of impatience. The design scheme of Furi is absolutely beautiful and entrancing. Each character is brimming with this mesmerizing style created by Takashi Okazaki, the creator behind Afro Samurai. This is quite noticeable when you take all designs into consideration, as The Voice with his rabbit mask head often reminds one of Kuma from Afro Samurai with his bear mask. Layers of the prison were designed intricately with their guardian in mind, The Line’s meditative personality has floating isles devoid of anything but nature. The Song’s “pious” and loving nature saw her to create a garden in the hopes of halting The Stranger, or even The Hand’s cozy little forest shack where he takes care of his child. The colors are vibrant and pop with bright pinks, oranges, purples, and whichever color scheme the guardian seems to take on is reflective of how each layer is designed. The techno-pop mix of the battles are atmospheric, and certainly change in both pace and tone for each battle. Everything was tailor made to the experience of the player and how they view each individual guardian. The visuals tell just as much of the story as all of the dialogue stated by everyone around, and it is easily one of the best feasts for the eyes in the year of 2016. 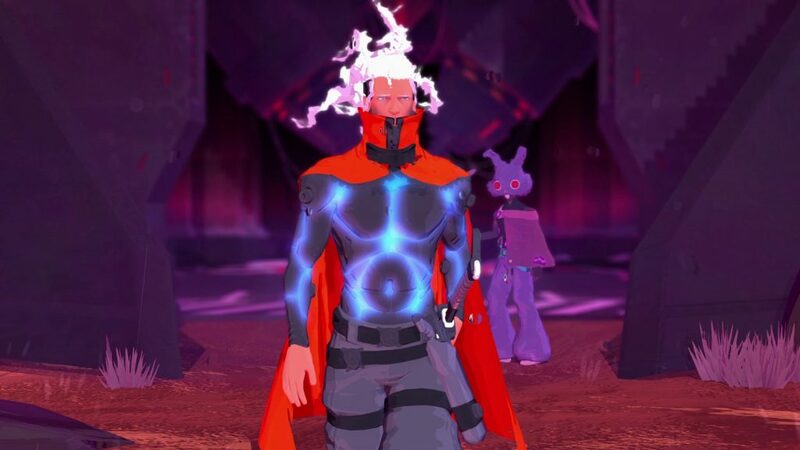 Furi is surely a game that is for a more niche audience, one that revels in the challenges a game can present to the player. Reflexes mean everything in the grand scheme of things and memorization is key to learning the patterns of the guardians. Even when you have everything memorized, hone your senses and focus intensively, as you will need to dodge through very narrow windows. 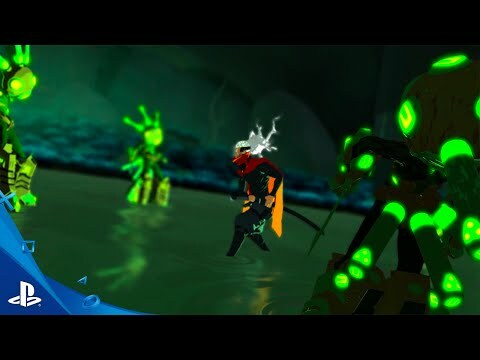 Furi has the ability to be both frustrating and extremely rewarding, but one must have the patience in order to stay with its difficult continuous learning curves each boss provides for their various health bars. With gameplay this intensive, there are moments where most people will feel defeated just like I have when I faced off against The Burst and The Star. There are times where I thought about dropping down to Promenade difficulty, only to be told by the game that this mode is not rewarding nor is it how the game is meant to be played, almost goading the player to continue with Furi difficulty, and coming off as a bit insulting to those who wish to play on the easiest difficulty. That is where I feel the game hinders itself in how accessible it is. It creates a beautiful world with interesting characters and a vague but interesting narrative, yet many will never experience it all when the game beats them down. The world, its visuals, and the characters are all inviting, yet I felt myself wondering from time to time whether the strain on my patience is worth it all in the end. 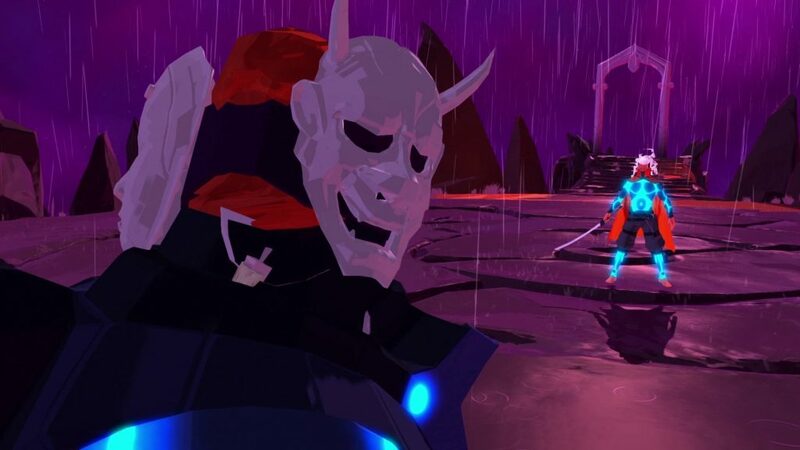 Furi is methodical in how it forces the player into a repetitious cycle of high octane pain and focus in order to survive their beautiful world and intriguing narrative that greatly hinders the game’s accessibility, yet once you adapt through those complex and demanding patterns it is quite a rewarding feeling. Hello! I just wish to give you a big thumbs up for the great info you have here on this post.